She's Fantastic: Transformers Power of the Primes - ELITA ONE! Elita 1 comes with two small blasters, two pieces of Prime Armor, and an Autobot Combiner Enigma. 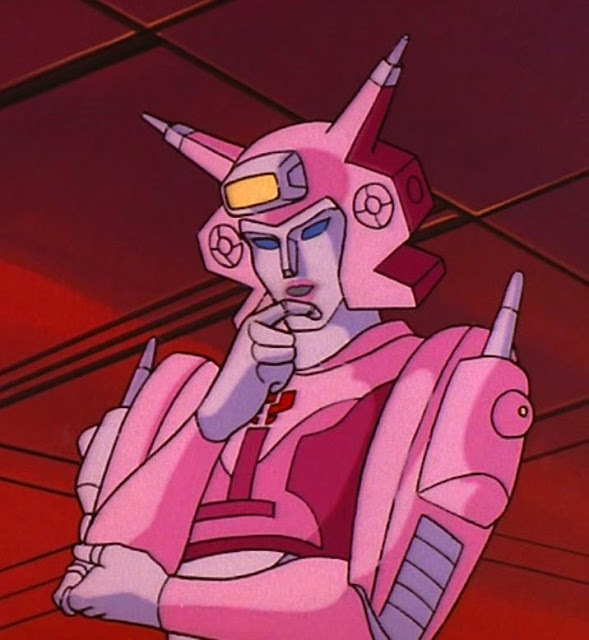 Elita's vehicle mode is a jet - as opposed to her original cybertronian car from the cartoon. The stickers on this figure aren't great. Some are peeling up, some are scratched, some are slightly askew. I don't think I've ever had a Transformer figure with stickers before. I hope this isn't a new trend. Luckily the flaws on mine are only really visible in vehicle mode, which I will probably never put her into again. 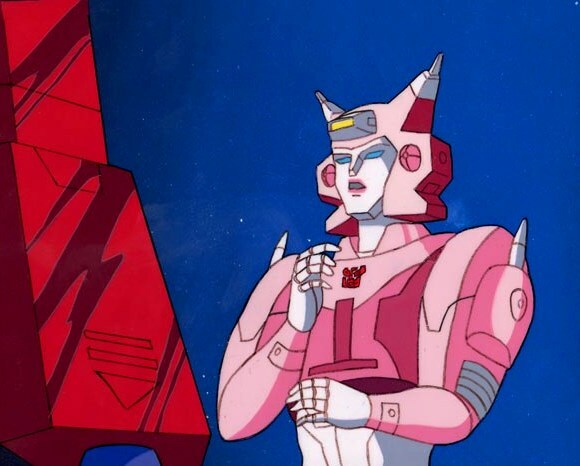 Here are some images of Elita One from The Search for Alpha Trion. 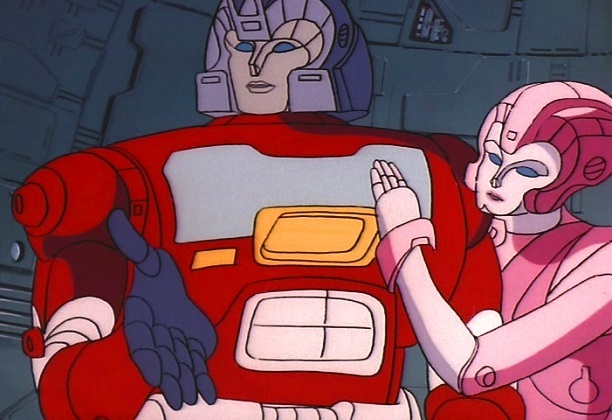 And a flashback image from War Dawn of a young Optimus Prime and Elita One as Orion Pax and Ariel. And finally an image of the unfortunately cancelled fembot storyline from the Dreamwave Comics series. I would have been all over this. I'm a relative newbie to Transformers and I didn't realize these figures are all meant to be combiners. 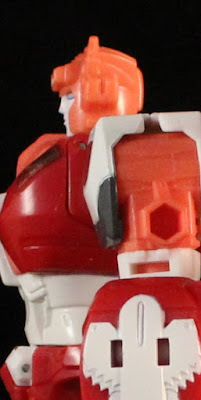 I was playing around with Elita when I realized her chest opened up and there was a giant second head inside. Following the instructions (which were very confusing I might add), I formed this torso and head for the combiner. In this diagram you can see that Moonracer can be used for one of the legs. My hope is that the upcoming Novastar can be used as an arm. Then both Moonracer and Novastar could have retooled variants (like the Slipstream, Blackarachnia, and Nightbird figures) so the second arm and leg could also be females. 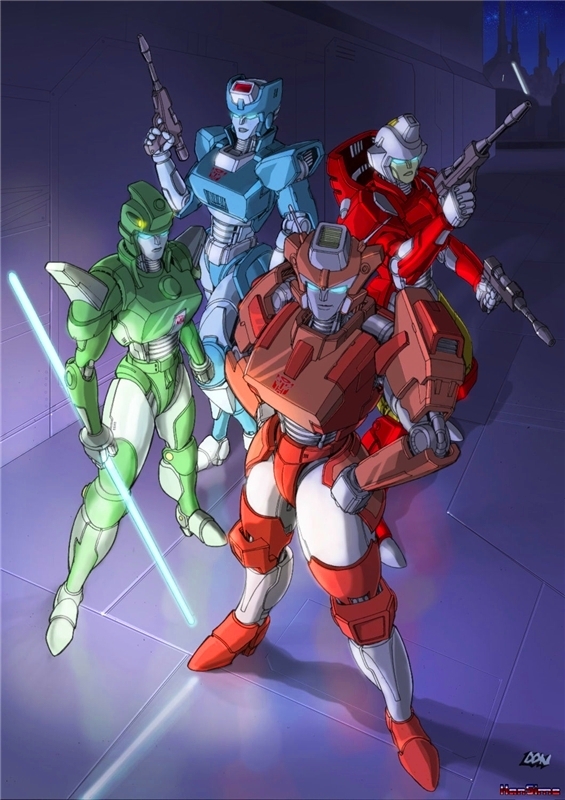 As much as I appreciated Victorion and Megatronia, I really hated all their bot forms. My nominations for retooled figures are Beta, Greenlight, and Lancer! The Prime Armor doesn't make much sense to me. They are just big pieces of black kibble that fit on her biceps with long white pegs. They don't seem functional and they don't match her deco. I have a feeling they serve an alternate purpose for the combiner mode. Here she is with the Mastermind Creations Eupatorium and the 2008 DST Elita Bust. And with some recent Autobots: Nautica, Chromia, and Arcee. I was surprised at Elita's scale when I found her in Walmart this afternoon. But although she towers over my other Cybertronian ladies, I kinda dig it in person.